While searching for a cute shift dress I came across this really cute Scarf dress, "Wild Lynx: DIY scarf kaftan dress" on the blog "Park and Cube". I was so happy to learn it was a D.I.Y dress, I couldn't wait to recreate the look for myself. I was also surprised how easy it was to make. I see myself making a lot more of the this kaftan dress for lounging around the house or at the pool. Note: For more information on how to make this dress and the original post please click "Wild Lynx: DIY scarf kaftan dress". 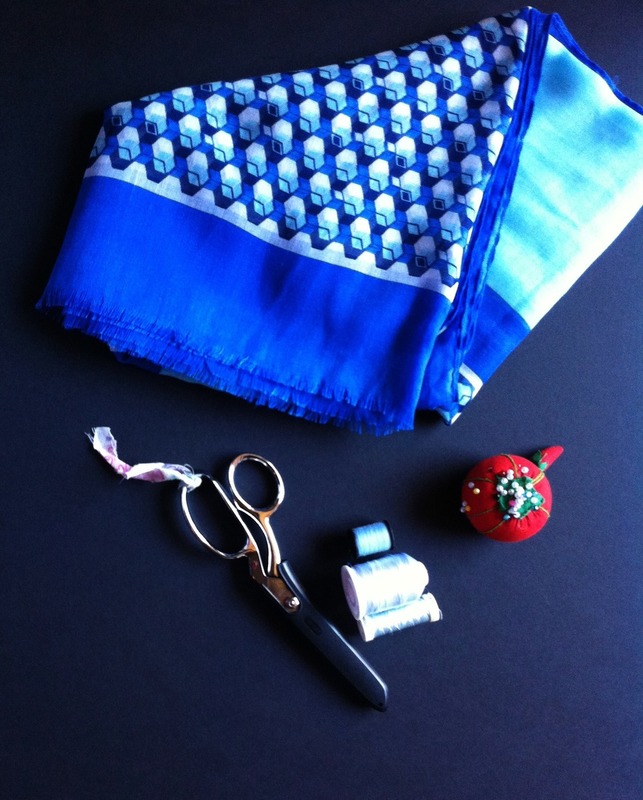 She has step by step instruction on how to make your own scarf dress. Good Luck! I couldn't find a simple scarves like the ones in the original post, I end up using 72 inch Calvin Klein scarf (similar scarf) that I cut in half to make two pieces of material that I needed for the project. on my dress I used a sewing machine to saw my edges together; I didn't have time to hand stitch like the original post suggested. 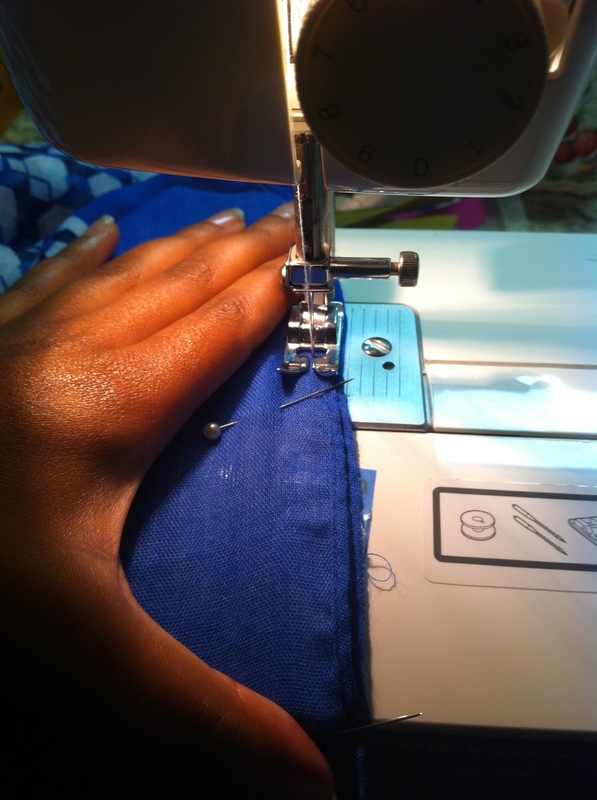 ( so if you don't have a sewing machine don't fear you can still do this D.I.Y). The dress made a great swimsuit cover up. I also used my favorite skinny white belt to give the dress some shape.